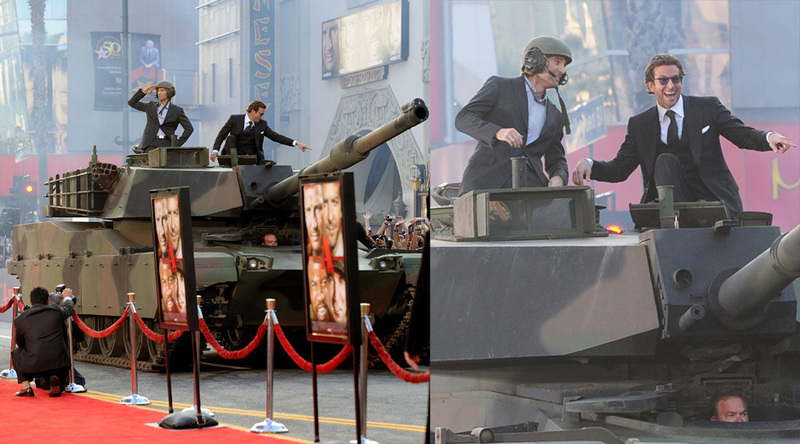 'The A-Team' had its big Hollywood premiere Thursday - so big that stars Bradley Cooper and Sharlto Copley arrived in a tank. They were joined by leading lady Jessica Biel and costars Liam Neeson, Rampage Jackson and Patrick Wilson. Also at the premiere was 'Mad Men' man Jon Hamm and his girlfriend Jennifer Westfeldt.